School business management or leadership – does it matter? Does a move from school business management to school business leadership mean that some skills are being downgraded, or no longer seen as useful? Having been a committed supporter of the National Association of School Business Management (NASBM) for many years, I still remember the (many) discussions we had back in 2008 over the change from the original name of NBA (National Bursar’s Association). The change was made to consolidate the then substantial transition of school bursar to the broader role of school business manager. 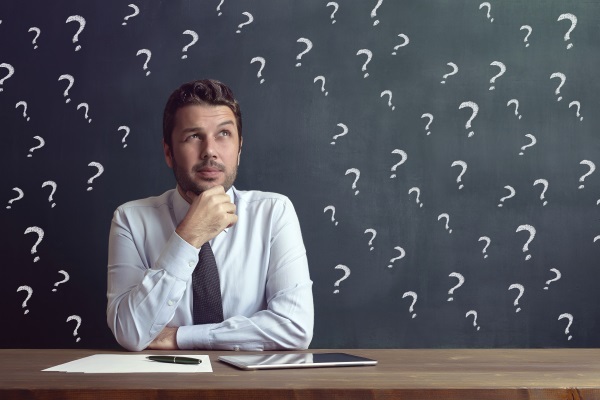 With considerable changes continuing to impact on the education sector, not least the erosion of local authorities and growth of multi-academy trusts, the escalating complexities of specialist operational disciplines within the SBM remit means the role is once again facing significant change. As before, and following development of the School Business Management Professional Standards two years ago, NASBM has been unrelenting in seeking institute status. This not only recognises the increasing pressures on the SBM profession, but seeks to help the education sector better understand the importance of effective business management. NASBM’s decision to become ISBL, and, in so doing, dropping ‘management’ from its name, made me stop and question the rationale behind this. What difference does a name make, and is there a risk that including ‘leadership’ in the title will prove inimical to our colleagues in the sector understanding the importance of robust business management? To answer this I needed to better understand what management and leadership mean for SBMs, and identify the difference between the two. With ever-shrinking school funding creating ever-growing spending tensions, the imperative to spend wisely has never been so great. Set alongside the growing complexities of school business functions and responsibilities, it becomes clear that SBMs need sound, business-savvy management skills. provide the best while spending the least. This isn’t to mention the role SBMs can play in creating and implementing policies with which a school can remain compliant with statutory requirements. Leadership, on the other hand, is having the vision, foresight and ideas. Leaders are entrepreneurs who can bring teams together – and get the best from them. It became clear that it isn’t the differences between leadership and management that matter, but the intrinsically strong relationship between the two. Effective management requires a vision for improvement, the good ideas, the innovative solutions, the ability to inspire and take people with you. Similarly, good leadership requires a secure understanding of robust and rigorous systems, processes and procedures, and the need for these to be developed in order to achieve the ideas and vision. In other words, to be a successful school business leader, the strength of management skills will be a critical and significant factor in leadership success. NASBM also recognises this relationship, as Stephen describes. 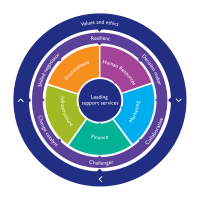 ‘We firmly believe that there is a requirement for elements of management and leadership across all of the roles that exist in the school business profession. SBMs are evolving from back-office fixers to strategic business leads. But what does this higher level of planning and decision-making look like in practice? 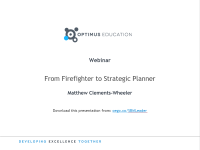 In this webinar, Matthew Clements-Wheeler, trustee of NASBM, explains how you can move from firefighter to trailblazer. I now better understand the rationale behind NASBM’s choice of name. In foresight, it recognises the need for SBMs to be prepared to cope with the increasingly multifaceted responsibilities and challenges they will face. The top-notch SBMs who take on these higher-level challenges will require both outstanding management and leadership skills. But this isn’t just about those top-notch school business leaders. This is about all the professionals involved in the school business functions, at whatever level they are working. I have long advocated that all support staff, whatever their role, should understand the need for rigorous management. But I have also said that they can, and should, all be leaders too. So, the Institute of School Business Leadership might just be a rose that smells as sweet. The change from NASBM to ISBL will take place on 20 November following the NASBM annual conference. To read about its move to institute status, and to have your say on how you would like the institute to best serve you, visit the NASBM website or follow @NASBM_news. 'National Association of School Business Management to become “Institute of School Business Leadership”', NASBM (2017). Review of efficiency in the schools system, Department for Education (2013).